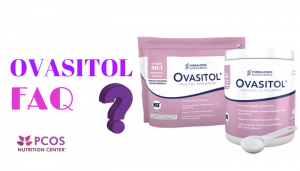 A nutrition supplement called Ovasitol can really help women with PCOS? I’ll admit, I was skeptical too-until I tried it. 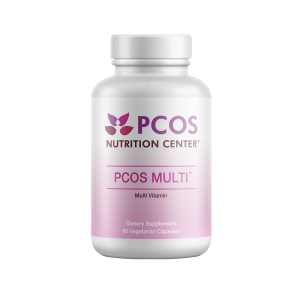 I used to believe that most women with PCOS can get their needs met through food and didn’t need to take supplements. It wasn’t until I started researching inositol for a chapter on supplements for my book PCOS: The Dietitian’s Guide, that I saw the evidence first-hand. Inositol, specifically myo and d-chiro inositol (DCI) is perhaps the most studied of supplements for PCOS. If you do a Pubmed search on Inositol and PCOS, you will see over 100 studies, all favorable for helping the condition. Inositol is a pseudovitamin of the B vitamin family, which is like saying, it’s almost a vitamin. 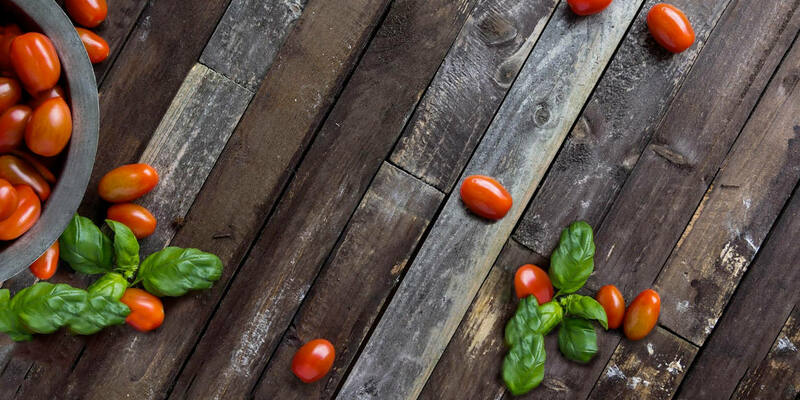 Inositol is found in many foods such as fruit, vegetables, beans and buckwheat. Inositol works as a secondary messenger to help regulate the activity of certain hormones like insulin and thyroid. Most of the tissues in our bodies have a combination of MYO to DCI in a 40:1 ratio. MYO converts into DCI but in PCOS women, this conversion happens too quickly, depleting levels of MYO inositol. Taking a combination of MYO and DCI in the 40:1 ratio, like Ovasitol to mimic levels in tissues is ideal. Taking too much DCI has been shown to actually worsen egg quality and ovulation. Free shipping to U.S & Canada! Ok. I was sold. The research was overwhelmingly positive showing the benefits of inositol. I had to try it for myself to really see what it can do. Here’s my review of what happened with my PCOS when I took Ovasitol. Since I can remember, I have always loved sweets, especially baked goods like cupcakes, brownies and cookies. Much more so than my friends. I know I am not alone. Carbohydrate cravings, whether it’s for sweets or salty foods, or just bread is very common among women with PCOS. Did you know that insulin is an appetite stimulant, driving the urge to eat? And that women with PCOS have been shown to have impaired levels of appetite regulating hormones? This could explain the intense carbohydrate cravings. Within two weeks of taking Ovasitol, I noticed my carb cravings were diminished significantly. I no longer needed that sweet taste after a meal (even breakfast!) and could easily pass up a plate of brownies. I felt like what most normal women, those blessed not to have PCOS, must feel on a daily basis. I have heard from numerous other women with PCOS who notice a difference in carb cravings from taking Ovasitol as well. Have you? When I first started taking Ovasitol, I had my blood levels checked. My labs were all normal (yes, a healthy lifestyle and medications can do that!) but my hemoglobin A1c or HA1c was 5.4%. I started taking the Ovasitol supplement which is a powder you can mix in a beverage or smoothie, twice a day (I love it in green unsweetened iced tea). After 3 months I had my blood levels rechecked. I was amazed! My HA1c dropped to 5.1%! Taking metformin had never brought it lower than 5.4%. My HDL cholesterol, the “good” type, increased (you want high levels of HDL). Wow, I thought, Ovasitol really does work! My doctor was also amazed. Three months later (after 6 months of using it), I had my levels checked again: My HA1c dropped to 4.9%. Amazing! I have now been taking Ovasitol for several years. My HA1c continues to hover around 5%. Women with PCOS have been shown to have a 6.8 times higher prevalence of developing type 2 diabetes in middle age than women without PCOS. I truly feel that taking Ovasitol, along with a healthy diet, regular exercise, other supplements, and good sleep hygiene has helped to prevent diabetes. 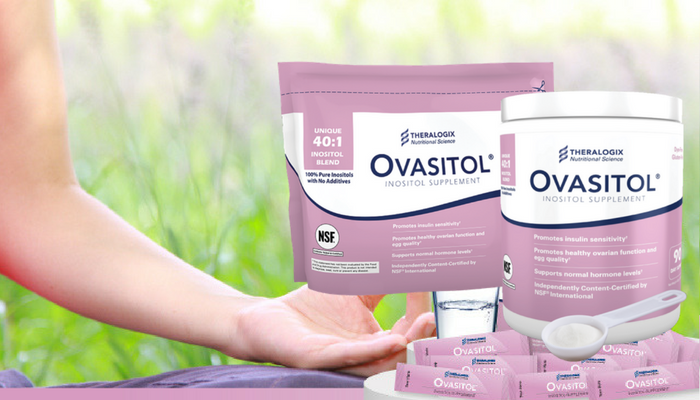 Ovasitol has been shown to improve menstrual cycles in women with PCOS. For some, this can happen in as little as one month. I often suggest young women and teens consider taking Ovasitol first before jumping to birth control pills to regulate their cycles. I am one of the few women with PCOS who gets regular periods. But they were heavy and somewhat long. I would often get fatigued from the blood and iron loss. I did notice after a few months of taking Ovasitol, that my cycle shortened and flow was lighter. Bonus! A few weeks in of taking Ovasitol I noticed that the stubborn ugly pipples on my chin and jaw line were going away and rarely come back now. Yeah! One of the many benefits of inositol is its ability to lower testosterone. Inositol has been shown to improve acne by lowering testosterone and androgens in women with PCOS. Thank goodness. 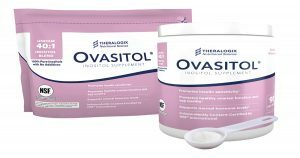 I know it sounds really great, almost too good to be true (and yes, full disclosure: we sell Ovasitol at the PCOS Nutrition Center because we believe in it), but you may have to try it for yourself to believe it too. Do you take Ovasitol for PCOS? Share what your review with it! I love Ovasitol so much I run a group for it on Facebook. I discovered it at the Philly pcos symposium and it has been a blessing!!! That’s great Leigh Anne! Please share the facebook group with us! Would Ovasitol help an older person that has had a complete hysterectomy, but still has other symptoms of PCOS? Here’s the link to the group! It’s my own little way of being a PCOS advocate! Would I be able to take Ovasitol while taking metformin? Pros or cons? Can ovasitol be taken with other prescriptions like my allergie medicine cetirizine and my hypertension medicine spironolactone? And how offten should this be taken? Yes, if she tolerates it well, she can take 2 packets per day. We have studies that have used insositol, the main ingredient in Ovasitol as young as 8 years of age with no problems. Thanks Angela. She is also taking essential oils phytoestrogen. Is it okay to take the phytoestrogen and ovasitol in conjunction? My granddaughter is 15. She has PCOS, Hypothyroidism, and Hydradenitis Suppurativa. The Gastric Sleeve has been recommended for her. What supplements would you suggest to help her loose weight without this surgery. Would Ovasitol be safe for her? Thanks for this article. I just ordered my first pack today. Looking forward to it. I’ve tried inositol in the past, but the digestive symptoms were unpleasant. I’m hoping Ovasitol doesn’t have the same effect. Fingers crossed it works for me as well as you describe. Looking forward to reduced carb cravings and taming the appetite, chin hair and acne are not fun at all. Great Janine! Let us know how you like it! I just ordered some today after much research. I am so happy to try it! I will keep everyone posted, from what I see its great! Let us know how you like it Rachel! Can you take Ovasitol with other supplements on your website? Hi Alyssa, Yes you can take them all together. I just found out I have pcos. My doctor told me to lose 20lbs so I could hopefully conceive. I have never had a regular cycle. What supplements do you suggest trying? Is there any way we can get this in Australia? Alternatively, could you please recommend another brand that would more likely be available for international shipping? I have PCOS and am about to come off the pill, and after learning about this product I am much less nervous about it now! I am very keen to have it in my arsenal of PCOS fighting products. Lauren, your best bet is to look for myo inositol. Just ordered, very optimistic! Two questions— 1) Any help with hirsutism? That’s my main problem. 2) I take Gabepentin and Piroxicam nightly — can I take this alongside those medications? Great Allison! Let us know how Ovasitol works for you. Yes, it has been shown to reduce testosterone and hirsutism. Yes, you can take with those meds. Ovasitol has been shown to help those with type 2 diabetes too. You can try it and see what happens. Trust your gut though if you feel you still may have PCOS, seek the opinion of another doctor. I was diagnosed in December 2017, I have always had regular periods. Never missed one actually. Only when I stopped using contraceptives in August, my periods stopped coming and I’ve only had one since then. I need help to get my periods back on track as I want to have my first child. I am currently taking vitex. Can I take them both together? Yes, both can be taken together Christine. Good luck! It was only by chance I found this website on PCOS 3 days ago. I have read the articles and now understand what I have been experiencing since age 15. I’m approaching 69. Many many thanks. No one talked about these things when I was growing up. I now realise there was a family history with my grandmother, mother and sister all having PCOS. My elder sister has diabetes and I am prediabetic. I’ve been taking Metformin and will up my dose of zinc and magnesium. Yesterday I ordered ovasitol. I retired from nursing last year so will be very interested in monitoring my HbA1c and lipids. My main concern is to avoid diabetes and heart disease. Again thank you. I’ll be reading your articles with great interest. So happy you found us Christine! i am on 2nd montb ovasitol. it has helped me ovulate as i take bbtand opk and my cycle is now 31 days. i got 2 31 day cycles so far in my 2 months using it. my only issue or concern is that my period seems shorter. i would bleed for 1.5 days and then by end of 2nd day my cycle looks like its ending. Is this normal. without ovasitol i have long irregular cycles with 3 to 5 days periods. So I was diagnosed with PCOS a month ago, and live a very active and healthy lifestyle. My mom has PCOS, and birth control is what was able to help her conceive as soon as she went off. I started birth control a month ago, knowing it helped my mom. is it a good idea to still take the birth control and Ovasitol? Or should I just do one or the other? Hi Rachel, good question. It depends on your goals. Many doctors are now using ovasitol in their teen patients first to see if they get a regular cycle. If there are other reasons you are on the pill (for birth control or to control symptoms of PCOS like acne), you may still want to take it. You can take both the pill and ovasitol together. Ovasitol can still work to lower insulin and decrease cravings. I am diagnosed with PCOS at the age of 18 yrs, now am 32 and its causing so many health problems. I am losing hair so much that my scalp is very visible. I am taking metformin, vestruda and other multivitamins. Will Ovasitol help me? It may. Talk to your doctor. There could be many reasons for hair loss such as iron loss and hypothyroid. It’s because of customs and taxes. You can find Ovasitol in Europe, we just don’t sell it. Can we take Ovasitol and drink 2-3 cups spearmint tea? I normally get my period every 35-40 days. I started taking Ovasitol 2 weeks ago and now my period is late. Has anyone else had the same issue?? I’m wondering if I could be pregnant already?? Marsha, Ovasitol has myo inositol and d-chiro inositol which can improve ovulation. It is possible that you are pregnant (fingers crossed!) but other factors may have delayed your period as well such as stress, lack of sleep, diet or exercise changes. Is Ovasitol safe to take along with a prenatal vitamin? 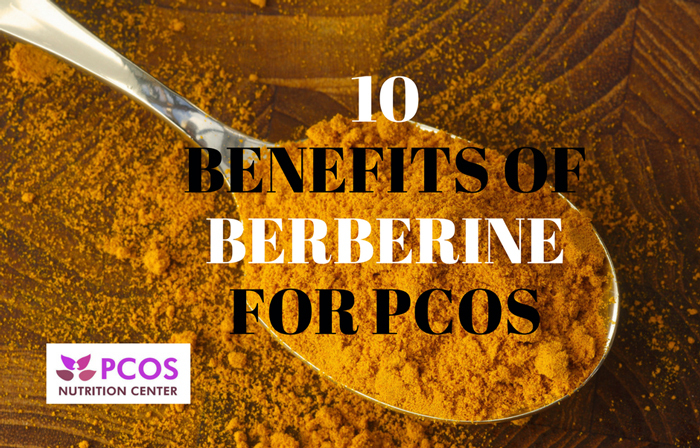 Is it safe to take Ovasitol and Berberine together or is one better than another for PCOS? Yes, you can take berberine and ovasitol together. Is it safe to take Ovasitol along with progesterone cream? Yes, ovasitol is a pseusdovitamin of the vitamin B family and is safe to take with progesterone cream. Hi I have the implant to help control my periods and stop the progression of my Endometriosis. I can’t stop taking it. Can I still take Ovasitol while having the implant? Will either of them be less effective because of taking it? Thanks so much! yes, you can take ovasitol with an implant. Ovasitol may still help to reduce cravings and metabolic issues. I’m in a similar situation to what Paula Chandler below mentioned about her granddaughter – curious in knowing as well. Also, are there any side effects? Metformin makes me very nauseous. Ovasitol is safe and very well tolerated. No supplement is a weight loss pill. Changes to diet and lifestyle need to be made. Yes, you can take Ovasitol if you had a hysterectomy. It has been shown to lower testosterone but may not to the degree of spironolactone. My wife was diagnosed with PCOS last week by Gyno. She had only four periods last year. She was referred to a hospital for further treatment, and currently we are in the waiting list and it may take over a month to get started with the treatment. She does not have insulin resistance, and all her harmone levels are normal. She does not have high levels of male harmones either. She was diagnosed with PCOS by Gyno through Ultra Sound. Her PCOS could very well be because of genetic reasons as her grand mother also had infrequent periods. SInce Ovasitol mainly improves body’s/cell’s response to Glucose in the blood, for someone having PCOS not because of insulin resistance, would Ovasitol still help? Yes, ovasitol has been shown to improve menstrual cycles. How I can buy this? I was just diagnosed with PCOS I am very lean but have mad cravings and bad acne and struggle with infertility and cysts. It looks like this could help but my question is, I have MTHFR which means you don’t process b vitamins like a normal person. Would ovasitol still work for me? Hi Aubrey, yes, Ovasitol is free of folic acid. It is pure inositol. Can I mix Ovasitol with any beverage? Coffee? Tea? Orange Juice or does it have to be water only? Will it still be as effective? I was diagnosed with PCOS in 2011 during my freshman year in college. I’ve struggled with my weight since before then. I’m looking to buy Ovasitol to help regulate my periods. I’ve been going to the gym and trying to eat healthy. What’s the best diet to follow with taking this and spironolactone? Hi I have been taking ovasitol for about 3 months now. my cycle comes every month which i am grateful for. this month i tested my progeaterone it came back 10.5 so i believe I ovulated. would you say so with that figure? my main issue is my actual flow. its brown with some clots but not actaul red blood. very light could get away with liners if i want. what could be the issue? can someone help me understand? Can Ovasitol help someone who has PCOS and is in menopause? Yes, it can still target the metabolic aspects related to PCOS such as insulin resistance, cholesterol, inflammation and blood pressure. What if I missed a few days? Will it affect me having a menstrual cycle? I don’t have my period monthly it skips a lot on 2016 I was diagnosed with PCOD… Before I used to have irregular period but now if I take medicine I have otherwise if I don’t then I don’t have. Can I take Ovisitol for regulating my period? And for how many months should I take this? Yes, Ovasitol has been shown to regulate periods. It is sold in a 3 month supply because that’s usually the time it takes to start working. Good luck! Are there any side effects? I’m very interested in ordering but am scared of negative effects. No, it’s really well tolerated. Start with one dose a day for the first week. Check out the Ovasitol facebook group (link at top of comments). Can we take Ovasitol and NAC supplement together? I bought NAC from your store. On the bottle it says to take one per day (ie 900mg). I have high testosterone from my recent blood work. Will NAC help me along with Ovasitol? How many times should I have NAC once per day or twice per day? Yes, you can take Ovasitol and NAC. Recommended dosage for NAC is 1.8 to 3 mg per day, so two to three capsules daily. Can Ovasitol be used for a long time? Yes, Ovasitol is safe for long-term use. Is it safe to take this supplement during pregnancy? you didnt reply to mr so i’m asking again……. I have been taking ovasitol for about 3 months now. my cycle comes every month which i am grateful for. this month i tested my progeaterone it came back 10.5 so i believe I ovulated. would you say so with that figure? Yes Mel, it does sound like you ovulated. What is the best supplement to take along with Ovasitol to lower testosterones? Berberine Plus or N-Acetyl Cysteine (NAC)? Good question Prethi. So far the research shows NAC can lower testosterone better than berberine. Zinc is also good for lowering testosterone too. I am waiting for mine to arrive in the mail. Hoping it might help with some of my fatigue symptoms. Great! Let us know how it works for you. Is there a recommendation on when to start taking during your cycle? Do you wait till CD1? I’m currently on CD21 with my last cycle being 55 days and ovulation around CD43-44. You can take ovasitol at any time during your cycle. Taking ovasitol Before food / after food ? Which is effective? I am 44 female, I didn’t get the menstrual cycle for the past three months. Will I start ovulating again? 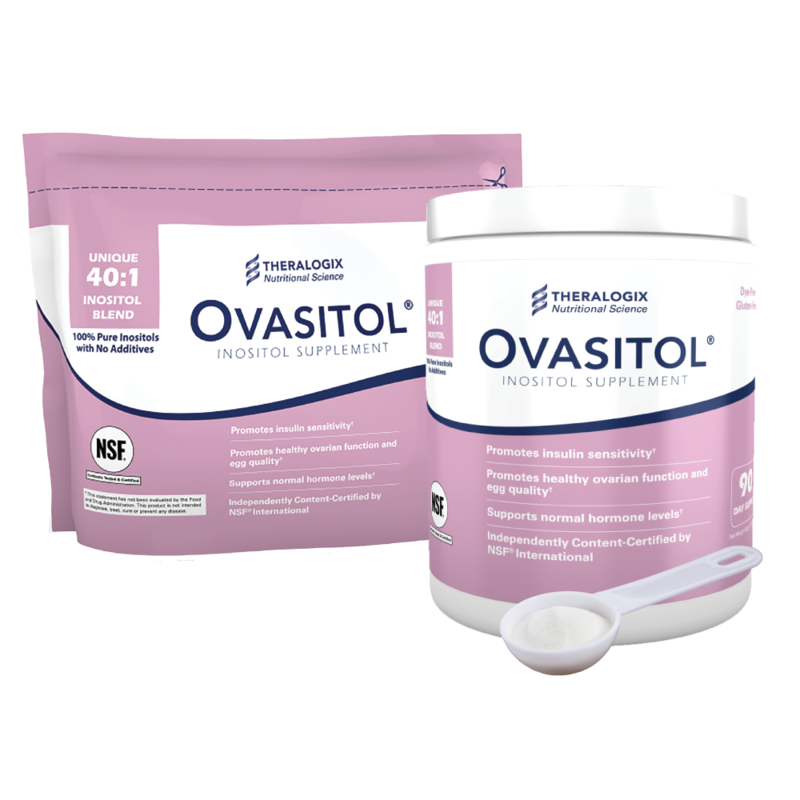 Is it possible to conceive at this age after using ovasitol? Taking it with food will work best. Yes, ovasitol does improve hormone balance and ovulation so you could get pregnant at age 44. We also see that as women with PCOS age, menstrual cycles start to regulate, also increasing the chances of conceiving. Would Ovasitol be effective to take along with birth control? I just recently got the birth control implant to reduce the heaviness and duration of my cycle, Also, I am on Metformin and Jardiance as insulin regulators for my Insulin resistance due to PCOS. yes you can take ovasitol with these. 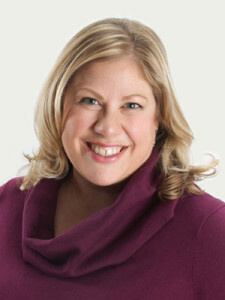 I have struggled with PCOS all my life, as well as insulin resistance and hormone problems. My doctor first put me on birth control pills for a couple years to help regulate my periods, however I ended up gaining weight and later having surgery to remove a cyst that was growing due to the birth control. Afterwards, I was referred to an endocrinologist because of my insulin resistance and hormone problems (acne, scarring, hair growth, the usual), who then prescribed me with Metformin, also something I took for a few years. While Metformin helped me to regulate my periods and keep my system under control, I still found myself slowly gaining weight and, being as strong as it is, feeling nauseous and dizzy most of the time. At the beginning of January, I stopped taking Metformin, which resulted in me not having a period for January, February, and most of March. I found out about Inositol and Ovasitol and decided to order it. When I had started it I had begun some light spotting a day before, and after a few days of taking Ovasitol at the recommended doses, it has turned into medium to occasionally heavy bleeding. I am now about to end week 4 of taking Ovasitol, and I am still bleeding with a medium flow. I don’t want to give it up, as it is my last resort, and because of the number of positive reviews, I have read about I really want this to work. I know that a lot of people have said that they have not seen results until a month and a half in, therefore I am willing to at least keep going until I finish the supplement. Has anyone else experienced this long bleeding, and should I just stay patient and wait for this to do its job? I also take folic acid, vitamin D, and vitamin B supplements, could these have an effect on the Ovasitol? Thank you so much! It sounds as if your cycle is trying to regulate itself. I would recommend continuing for a full 3 months to see. I am taking Ovasitol twice a day and doctors told im preganant.Just wondering do i continue to take it or stop during pregnancy please? yes, yes, and yes! Give it a try. Ovasitol does regulate cycles, lower testosterone and improve egg quality and ovulation. Can I mix it with clomid? yes you can take ovasitol and clomid at the same time. I’ve been taking Ovasitol for my PCOS for about 7 months. I was just looking at my period tracker app and for the past 8 years I’ve oscillated between 35 – 60 days between periods, super erratic. After 2 months of ovasitol things started to change, and over the past 5 months it’s now 24 – 33 days. I’ve never had that consistency! I haven’t done any official testing, but I can offer that as field research. That alone is enough for me to keep taking it. I used to take just Inositol powder, but didn’t have anything like the results I get with Ovasitol. Great to hear Marta! Thanks for sharing. Ovasitol has both Myo and a little DCI that mimics the ratio that is in the body. Glad it works well for you! I’m very interested in taking this to help with my PCOS. Do you know if it’s compatible with breastfeeding? Thanks! Yes it is but please discuss with your doctor. What is the best inositol to take if you are just insulin resistant? Been on Metformin for 15 years!!!! I feel like you just explained it doesn’t’t do much for my insulin resistance!!!! Thanks in advance!!!! Hi! Wondering if taking this in conjunction with birth control and then going off birth control would allow my period to regulate? My doctor gave me birth control as a solution without much info but lately feel so bloated and can’t lose weight even though I eat well and have exercised regularly for years. Ovasitol works to lower insulin levels and restore periods. It can be taken with birth control. How long does ovasitol take to in effect? Every woman is different. It is recommended to do the full 3 months to see all the benefits but some women see a difference in cravings in as little as 1 week! Hi! 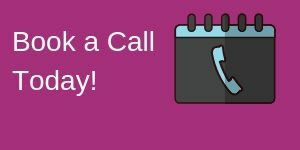 I finished a 3 month supply of Ovasitol and while my cravings diminished, I became more dehydrated (drank plenty of water) to the point my ears would “ring”. Over the years dealing with PCOS I only try 1 new thing at a time. I stopped Ovasotol for a couple of months ( no other PCOS “remedy”) restarted Ovasitol and the same thing happened by the end of the first week. I couldn’t tolerate metformin, but am wondering why the thirst/ dehydration and ringing may have been a side effect. I only took 1 packet in the am daily. Thank you! Hmm…we haven’t heard of this side effect. Thanks for sharing. Hi, I don’t have PCOS but I have had irregular periods for the past 8 months since getting off of bc and trying to conceive (24-40 day cycles). A friend of mine with PCOS suggested I try ovasitol to help regulate and help me conceive. Is it ok to use if I don’t have PCOS/thyroid issues? I’ve been on Ovasitol for only 3 days. I went to the grocery store and for the first time since I can remember, I had no overwhelming desire to buy a candy bar as I checked out! It may not seem like much, but it was a major moment for me! Great! Ovasitol does work to reduce cravings! I’ve been using Ovasitol and off birth control for 3 months now and still haven’t had a period and breakouts are nonstop on my face. I don’t know what else to do other than get back on birth control to balance everything out. Does this help with stopping periods that are long and regulate them? My periods are 2 months long! yes, Ovasitol improves menstrual regularity and may shorten cycles. I just bought Ovasitol, I read you’ve been taking it for years, is it something I should continue taking? I was hoping a first three month dose was going to help regulate me? Everyone is different but if you stop right after 3 months, symptoms may return. I’ve been diagnosed with PCOS since I was 21 I’m now 27 and I’m in a lot of pcos groups on Facebook and they talk about this product all the time and I really would like to try it in place of taking birth control because it makes me so nauseous I hope to have good results as far as my body regulating my menstrual cycle on its own. Can you take if you have fibroids? Will it affect fibroids from increasing? I just placed my order. I’ve been diagnosed with PCOS about 10 years ago. I have recently had an ablation. Will taking this make my cycle come back? I’m hoping this well help me with all my other side effects. ( acne, facial hair, unexplained weight gain, cholesterol and insulin issues). Thanks! Great! Let us know how it helps you! No, it should not resume your cycles after ablation. I am 56yrs old. I was diagnosed with PCOS over 20yrs ago. I have idiopathic edema, which I found out it has to do with luteinizing hormone, along with the weight gain and facial hair. Also, I haven’t had a period in 3yrs GREAT. So, will Ovasitol help with these problems? Lastly will it change me from having periods? Not at all looking to become pregnant. Ovasitol hasn’t been shown to help with edema, but can restore hormone balance by decreasing androgens and LH levels. This means it can help with facial hair. If you are in menopause, this will not cause you to resume cycles. Is this safe with Femara? I took ovasitol for 2 days. On the 3 day I got the periods returned after 3 months. Then I took continuously for 20 days and on the 21 day I got periods again in the same month. Will I take again? Would the DCI bother me if I’ve been told by my doctor that I don’t have diabetes. I do have PCOS and I the irregular periods, facial hair and stubborn weight gain. Currently the research shows that taking Myo and DCI in the ideal 40:1 ratio to mimic levels in the body is ideal. I’ve been reading up on some literature for inositol use for pcos. Recent research has shown that overweight and obese women with pcos and insulin resistance should take 500 mg of the d chiro inositol rather than the 50 mg provided in Ovasitol. I was wondering what your take was on this as I’ve been taking Ovasitol for a long time. My insulin levels have decreased but menstruation has not regulated. is part of a review paper that lists the research with MI and DCI and the combination. I think the best information is that yes, studies with DCI alone have dosed higher (500 mg or more), but the combination studies have used 50mg DCI, and the 40:1 combination seems to work better than either MI or DCI alone. I wouldn’t advise the higher DCI dose, along with 4g MI per day. Higher levels of DCI have been shown to worsen egg quality. All of my hormone levels came back normal but I do not ovulate and have irregular periods. My Ultrasound showed I have a small strand of follicles. The doc prescribe Provera to help start a period. Is it safe to take P0rovera and Ovasitol? Hey! I was thinking about ordering Ovasitol packets. Can they be taken along with a RX for Estrogen and Prometrium? Thanks in advance! I was diagnosed with pcos in my teenage years, I am lean pcos, all my blood works are normal. I do not have insulin resistance or high testosterone. I have started taking ovasitol over a month now and I have been bleeding ever since. I still continue to see what happens within 3 months but I am not so certain about this anymore. Should I stop? I have not heard of this happening. Women with PCOS tend to have irregular and long cycles. Hard to say if Ovasitol but I would suggest stopping for a month to see what happens. Here is the information about ovistol that I was talking to you about. Read it and let me know your thoughts!!! I have PCOS and I started Ovasitol in April, I felt really good on it and my cycles went from 33-37 days to 28-29. I started the ketogenic diet on July 3rd and was due for AF on July 10th or 11th, and I still haven’t got it. I feel a little frustrated, I had PMS symptoms a few days before it was due, like light cramping and super moody. All I have now is some very light cramping on occasion mostly when I stand up. I have felt extremely tired, but I know that it can be the keto. I did test on Monday but BFN. Should I stop ovasitol? Could doing keto and Ovasitol be too much.? Since you started Ovasitol and felt good on it and it shortened your cycles, it sounds like it was working well for you. Ketogenic diets tend to be very low calorie and can stop your period. I am already taking metformin. Is this something I can add or do I need to replace the metformin with this? Metformin is much more economical for me so if they do the same thing, I don’t want to switch. Ovasitol can be added to your metformin. They work differently. Yes, Ovasitol improves ovulation and egg quality. 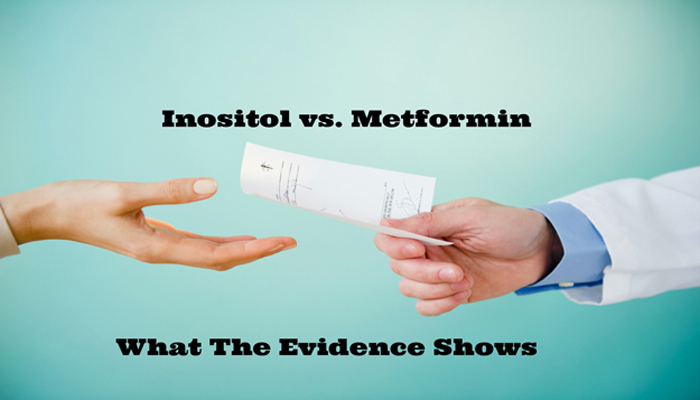 You can take Ovasitol with or without metformin. I would suggest talking to your doctor first before stopping metformin. Could this be taken with Prozac and prenatals? Are there any common or potential side effects of Ovasitol? OCP made my daughter super anxious by the 3rd month. Taking medroxyprogrsterone makes her drowsy and she get headaches. DIM gave her headaches. She seems to be sensitive to potential side effects! Thanks! She could be very sensitive and that’s why you want to buy a high quality supplement like Ovasitol. The side effects of Ovasitol are very minimal. It can actually help reduce anxiety. I have been taking for about 60 days…so far acne is much better…pretty much gone. Starting to see some weight come off….and periods more regular. Cravings and anxiety is lower, but not gone. Overall – loving it so far. hi. i’ve been diagnosed with pcos 2 years ago. the doctor prescribed me pills and metformin. seems that they don’t have any effect on me. i have very irregular periods usually thrice a year. i am TTC. can ovasitol regulate my period and help me to conceive? can i take it without doctors prescription? Question – can i take this and not need it to get pregnant ? I had an ablasion done in 2013 and cant get pregnant but i want to make sure that this wont get me pregnant – well the taking it part. Hi Ashley, since you had an ablation, you will not be able to get pregnant. Hi! I was diagnosed with polycystic ovary some time in 2010, my monthly period is very light and last more than days. Birth control pills and metformin help me regulate my period but after a year I stopped seeing my doctor and taking pills, now I have heavy bleeding sometimes and last more than 20 days. The only supplement I drink daily is ferrous sulfate and I would like to try Ovasitol, can I try it without consulting a doctor? what are the common side effect? thanks! Can this be taken with spironolactone? How do we get in Australia. Does it help with weight loss and hair growth. Ovasitol is available in Australia but we do not ship there. a rare side effect is GI discomfort which can be minimized by taking with food and starting with one dose per day. Can anyone tell me if taking this product will kick me out of ketosis? I have read wonderful things about Ovasitol and I have started taking it. But then I read a review that says that it can be unhealthy for several reasons, including a negative effect on egg health when trying to conceive. Have you run into this? What are your views on this? I don’t want to take something that might be dangerous when trying to conceive. Alisha, there is very strong evidence that shows a combination of Myo to d-chiro inositol in a 40:1 ratio which is what Ovasitol is, can improve egg quality and ovulation as well as other benefits. DCI alone, at dosages over 300 mg has been shown to worsen egg quality. Hi, I have a question about taking ovasitol. I have been taking metformin for PCOS insulin resistance for 4 months as well as the Pill – but my cycle hasn’t become regular and PCOS symptoms are not subsiding. I am exercising 6 times a week and on a low carb, gluten and dairy free diet. Can I add ovasitol in the mix without my doctors approval? Is it safe to take and manage myself? I’m only asking this as I have searched and not found a doctor who is too clued up or gives me much information about my PCOS. Would love your guidance on this. Ovasitol should be taken every day, twice a day without stopping. I’m in menopause so I am not sure if I need this supplement or some other form of inositol. I am overweight, have hashimotos and take thyroid hormones. Also have some signs of too much testosterone, excessive hair on face, neck, oily scalp and face. I have chronic fatigue and I believe insulin resistance. I eat a pretty clean paleo diet. Is this supplement recommended for all overweight women or just those in child bearing years? Kay, Ovasitol can help you too. It’s not just for fertility. Many women who take Ovasitol see a reduction in cravings and lower glucose and HA1c levels. It has been shown to restore hormone balance and can lower testosterone. Give it a try! A major role of inositol is that it is involved in insulin and thyroid regulation. Is the Ovasitol supplement certified kosher by any chance? And, does the canister have as many doses as the individual packets? Thank you for the valuable information you provided in this article. I was just wondering if I stop Ovasitol, will my PCOS symptoms get back including; infrequent/irregular cycles, unwanted hair growth, and acne … ? Another query is; If I get pregnant, shall I stop taking Ovasitol or no? I have a question about the Ovasitol for PCOS. Should you take it all cycle long? Is it safe to take during both the follicular and luteal phases? Is it fine to start it at any point during the cycle? Also, is it recommended to take the Vitex, vitamin D and evening primrose oil along with it? Yes, for best results we recommend continuous use of Ovasitol throught the menstrual cycle. Take it twice a day, with breakfast and dinner. It is fine to take Ovasitol with other supplements such as the ones you mentioned. I apologize if this has already been asked, but can women with lean PCOS take this? I don’t have high blood sugar, I actually lean towards low, and dont struggle with weight gain or sugar cravings but I do have high testosterone, no periods/irregular periods since coming off the pill, acne, and anxiety. Lean women with PCOS can absolutely take Ovasitol. Hello! Thank you for all this information. Is Ovasitol safe to take while breastfeeding?? We want to start trying soon so I’ll need something to help me ovulate. Thanks! yes you can take it if nursing. Good luck! Yes, she is not informed. Ovasitol can help reduce the risk for diabetes and can regulate hormones and restore menstrual regularity. There is a great FB group, PCOS ladies using Ovasitol where you can hear from others. Also be sure to read the comments below this post. Yes! There are studies in girls as young as 8 who take it. Hoping it will help her decrease her sugar and carb cravings! Can you continue to take metformin while taking Ovasitol? Yes, you can take metformin while taking Ovasitol. They work differently. Hello, Is it safe to take Ovasitol with Clomid? Was this post sponsored in any way? No. We sell Ovasitol but only after having tried it and saw the benefits. Tons of research on it! Absolutely! Many patients find Ovasitol helps to reduce cravings. It does improve ovulation too so you may want to be careful if you don’t wish to conceive. I had a complete hysterectomy at 25 because of my terrible pcos symptoms. I’m now 37. This product promotes cycle and egg improvements, will that be harmful to someone in my condition who is over 10+ years post hysterectomy? No, ovasitol can also help to reduce insulin and other metabolic complications like high cholesterol. Hey, I started of by taking one package and since one month I take two. I did a great job on shortening my menstraul cycles. They were around 35-45 days and now they are between 26-31 days. However they are still quite irregular. Is this normal? My last menstrual cycle was 26 days and the one before 29 days. I wonder if I should go back to one package? As the menstrual cycle was getting shorter? Great! We recommend giving it a full 3 months of taking it twice a day to see what benefit it provides you. If after that you can definitely experiment with once a day and see how you do with that. I would love to try Ovasitol. Please advise if it is sold in South Africa? i am trying to buy this product. I live in Isreal. Sorry, we only ship to USA and Canada. I was diagnosed with PCOS in 2017 and subsequently thyroid cancer. After having my thyroid removed I was put on metformin and spironolactone and thyroid meds. Can I supplement the metformin and spironolactone with ovasitol?